The Minister of State for Petroleum Resources, Dr. Ibe Kachikwu, has stated that President Buhari has been prudent in managing the nation’s resources so far since he came into office. The Minister also said that the Federal Government is committed to ensuring that Nigerians enjoy much better opportunities in the oil and gas industry. Kachiukwu made these statements at the inauguration of laboratories built by Laser Engineering Nigeria in Rumudara in Obio/Akpor Local Government Area of Rivers state. 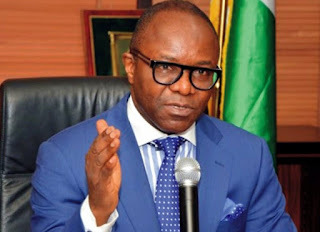 According to him, the Federal Government is prepared to partner with Nigerians who intend to make landmark achievements in the oil and gas industry. The Minister added that the federal government would provide all the necessary supports to ensure that Nigerians are major partakers in the industry. “The Government is prudent in the way they have been managing our resources. Personally, whatever is available when I am traveling, even if it is economy class, I will take my seat,” he said. He spoke on the importance of research, and added, “New dimensions of products are produced through research; this is what makes the oil and gas industry work well. Kachiukwu pointed out that many Nigerian entrepreneurs making waves in engineering, drilling, and other areas would be showcased when the ‘Project 100’ would be launched by the President. Earlier on, the Managing Consultant of Laser Engineering, Prof. Mike Onyekonwu, described the establishment of the laboratories as a modest contribution to the efforts of the federal government in its bid to set up research institutes. The managing Consultant explained that research still remains the backbone of sustained growth in any industry and one of the ways we can build capacity. According to Onyekonwu, no university can procure the research equipment that we need for our research due to poor funding. As a result of this, there must be private intervention in research and Laser Engineering has taken the challenge and invested. I agree with Ibe Kachiukwu on President Buhari being wise with Nigeria's resources.